With its first-class infrastructure and easy access to funding, India’s most enterprising individuals are being drawn to the small nation-state of Singapore. Can India overcome its issues and win back its entrepreneurs? While India may be one of the largest emerging economies in the world, the greatest obstacles in its path are its lack of infrastructure and the bureaucratic red tape that makes it difficult for companies to sustain business operations and obtain funding. For large multi-national corporations (“MNCs”) looking to expand their market reach, these issues can be overcome by channeling investment to build their own infrastructure, but for smaller start-up companies and entrepreneurs who have little in terms of capital, looking at alternatives such as Singapore to build their own businesses may be the better option. One of Prime Minister Narendra Modi’s key policies is pushing for a “Digital India”, where all citizens are empowered with access to digital services, knowledge and information. While this vision is indeed timely to meet the digitisation of the global economy, India faces many difficulties simply because it has to battle with the badly planned infrastructure and cultural norms in place. Take for example, its $18 billion plan to expand the country’s digital reach to connect India’s 250,000 village clusters. In the crowded 3,000 old city of Varanasi, the Indian government is facing a problem that few other countries have to consider – monkeys, who have found that fibre-optic cables are an extremely appetizing snack. In addition, engineers are finding it extremely difficult to lay underground cables given India’s haphazard densely populated areas. In stark comparison, Singapore may have a much smaller land area, but has successfully integrated technology island-wide. Moving forward, the country aims to take this one step further, by introducing ultra-high speed broadband access across the nation. For tech entrepreneurs in particular, basic accessibility and the reliability of their accessibility to the internet is a core requirement for their businesses and the lack thereof would naturally form a huge roadblock. With such limitations created by the lack of native infrastructure, much of India’s tech ecosystem remains restricted to traditional e-commerce, with little room for enterprising tech entrepreneurs who do not have the required capital to build their own infrastructure. Another “push” factor for many entrepreneurs in India is the challenge that numerous challenging policies present for businesses. 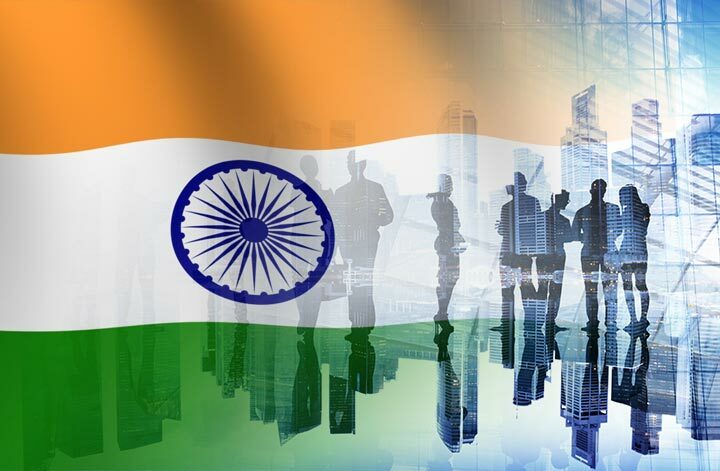 An annual survey by the World Bank of 189 economies across the world showed that India ranked poorly at 142 out of 189 economies in 2015, whilst Singapore ranked top – a rank it has consistently held onto for the last ten consecutive years. One of the key reasons for this is the bureaucratic red tape that confronts a potential business owner even before he or she commences business operations. In order to incorporate a company in India, one must complete approximately 13 procedures, which will take an estimated 30 days to obtain approval (assuming everything runs smoothly). 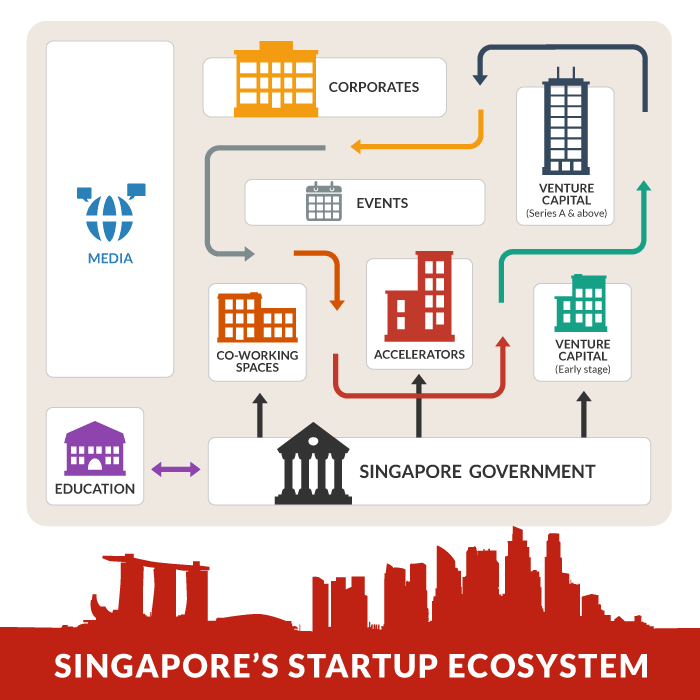 In contrast, it takes a business owner an average of two and a half days to incorporate a company in Singapore. 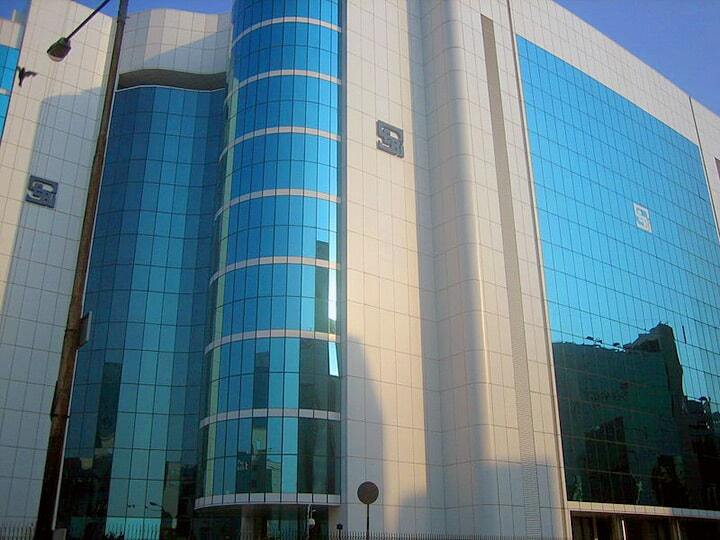 Post-incorporation, a company incorporated in India will have more challenges to face. For instance, if the business wishes to import or export goods, there is the challenge of a lengthy waiting time to obtain approval by customs and generally poor physical infrastructure in place. A Sydney-based Australian importer commented, “Getting product cleared through Customs once it arrives is the biggest problem we have. We only ship small amounts of frozen product into India because it can take up to 50 days to clear the airport”. With an anticipated wait of almost two months as businesses wait for supplies or products to arrive, this can have a definite impact on the efficiency of the business operations, as well as result in potential losses, if the goods that are being imported are perishable. In contrast, Singapore has been largely acknowledged as the frontrunner for the efficiency and cost-effectiveness of its logistics, sweeping up awards for the Asia Container Port of the Year, Asia Air Cargo Port of the Year and Container Terminal of the Year at the 13th Supply Chain Awards Asia 2014 (“SCA Awards 2014”) held on 20 November 2014. While India has a wealth of talent and is reasonably inexpensive to set up a business, fund raising is significantly difficult, as there is little government support for small start-ups and few alternatives, such as banks and venture capitalists, whom small businesses and entrepreneurs can turn to. The Singapore government however, has taken an active role in ensuring that small businesses and entrepreneurs have a wide variety of options when it comes to seeking funding. From venture capitalist firms, to accelerators and government-funded working spaces, entrepreneurs and small business owners will find it much easier to expand their operations, leverage off the wisdom of experienced industry professionals and source for talent. One example is the government-led Micro Loan Programme, which encourages banks to offer collateral-free loans of up to S$100,000 at a fixed interest of 5.5 percent to small companies and start-ups by absorbing 70% of the risk of lending. With the government absorbing most of the risk, banks have naturally become more inclined to lend to small companies and start-ups; and the relaxed requirements means that small businesses find it easier to obtain funding. Indeed, funding, or lack thereof, can be the key reason as to why a business succeeds or fails. Traditionally, business owners and entrepreneurs have relied on their personal savings to kickstart and fund their business. However, an OCBC survey showed that at least eight in ten need a second capital injection within the first two years of commencing business operations to sustain the business and expand their growth. Hence, the Micro Loan Programme aims to plug in the gap for such businesses that have potential but insufficient capital to continue sustaining their operations. Funding aside, the Singapore government also has created many tax incentives and pro-business policies that are extremely attractive for budding entrepreneurs and small businesses, but the same cannot be said for India. For example, India is one of the countries with a painful foreign currency policy – leaving companies that accept foreign funding struggling with a mountain of administrative paperwork that can go on for months. In addition, businesses also have to pay taxes on every single international expense – a bizarre tax policy unique only to India, which raises costs for companies. At first glance, it may seem that India has the upper hand in terms of market reach – its own domestic market is after all, one of the largest in the world. Compare that to Singapore, with a small land mass that is a mere fraction of India’s. 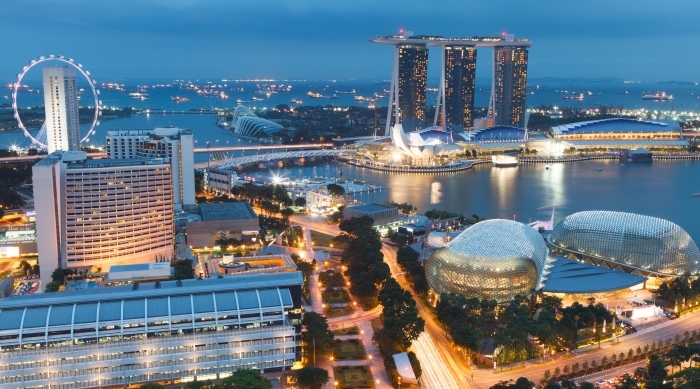 However, Singapore’s reputation as one of the busiest financial hubs is partially attributed to its long established diplomatic ties with the economic centres around the world. Through its 76 double taxation agreements, local businesses find it easy to reach out to foreign markets to expand their market reach, while foreign businesses are incentivised to trade with Singapore-based companies as compared to other countries, where they may have to pay more taxes. Generally speaking, a good start-up ecosystem needs reliable infrastructure, good funding support, passionate and driven entrepreneurs; and some help with navigating around bureaucratic red tape – all of which Singapore has to offer, all of which India seems to lack. Clearly, India has much to learn from its smaller neighbor; but change cannot be wrought overnight as it needs to carefully consider the existing policies in place and balance the need to drive entrepreneurship with other pressing socio-economic concerns, such as the provision of basic education and healthcare, which continue to plague both its densely populated cities and rural population.